Health insurance and medical costs have changed a lot in recent years. Personally, I’m paying a lot more in premiums than I did before, yet my co-pays and cost-shares seem higher than ever. Whether we are talking about my own rare doctor’s visits, though, or my special needs son’s frequent appointments, one fact remains: the climbing cost of healthcare doesn’t appear to be waning anytime soon. It’s not just the impact of those bills on your bank account, though… they have the ability to really wreck your credit if you’re not careful. 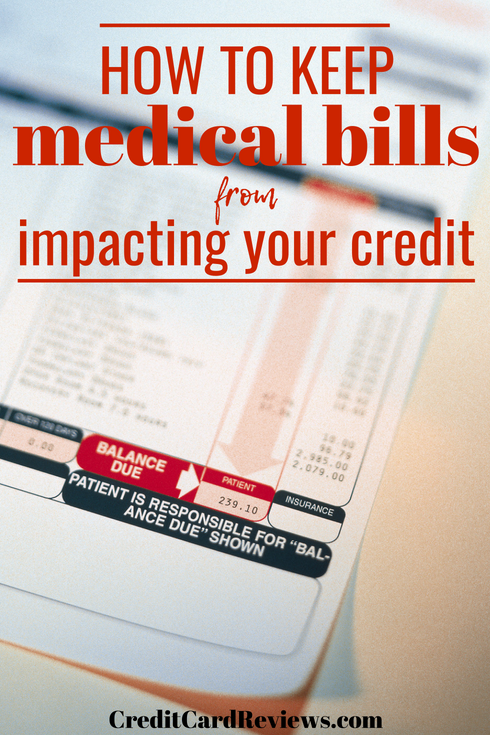 Luckily, there are a few ways that we can all save some money on medical bills, avoid the pinch of a high or unexpected bill on our budget, and spare our credit scores in the process. 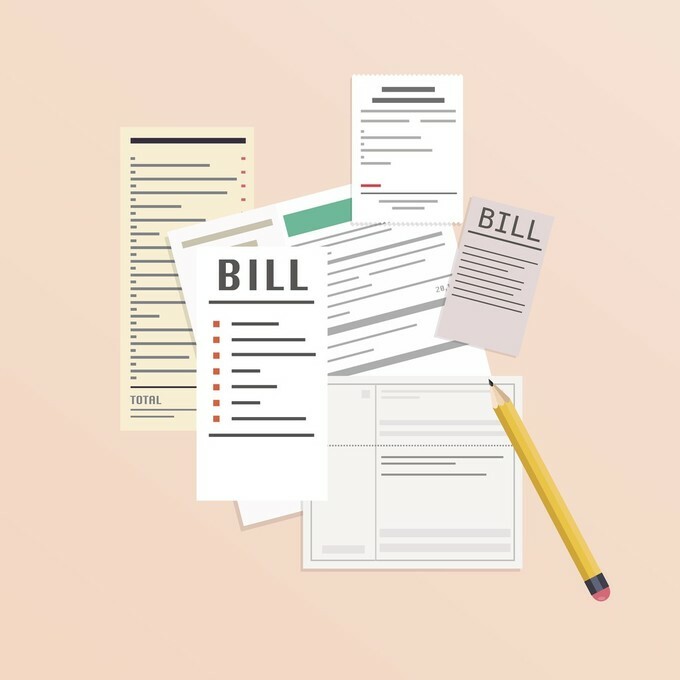 Here are four important tips for keeping your medical bills in check and off your credit report, so that you can save yourself both money and frustration. Once upon a time, unpaid medical bills would simply go to a collections department. You might get harassing phone calls and letters from debt collectors, asking for payment on your account. If you eventually paid, the calls would stop; sometimes, the calls and letters would end because your debt wasn’t worth the resources, and the company would just give up. However, in recent decades, those bills began popping up in an unexpected place: your credit report. An account in collections has the ability to really wreak havoc on a credit report, too, dropping your credit score substantially as well as giving the impression that you are not credit-worthy. This can mean denied credit applications and higher interest rates, costing you more money over the years. While some new credit scoring models now exclude medical-related collections, most don’t. Your best bet is to do everything in your power to avoid letting those accounts go to collections, even if you can’t afford to pay them right away. If you can’t pay a medical bill right away, the worst thing you can do it ignore it. That pretty much guarantees that you’ll wind up with a negative report on your credit, and a credit score drop to boot. Sometimes, your best bet is to request a payment plan, and most doctor’s offices are happy to oblige. By calling up the medical office’s billing department, you can work out a payment arrangement for the amount due. Usually, they are willing to let you pay off the balance in six months or so, without any added fees or interest. However, it’s important to actually call and get approval for this kind of delayed payment schedule! Some people believe that as long as you’re paying a small amount on a medical debt, the office won’t send your account to collections. Unfortunately, that’s not guaranteed, even if it’s common. Providers can send your account to collections for any balance, no matter how small or if there have been payments made. Without a formal agreement in place, your payments aren’t guaranteed to keep your credit squeaky clean, even if they do chip away at the balance. If the billing department is, for some reason, unwilling to work with you on a payment plan – or if the plan they offer still doesn’t work for your budget – look into using a 0% APR credit card offer to pay the bill. Many of these offers, available to new cardholders, will allow you to charge your medical bill and pay it off for anywhere from 6-24 months, interest-free. The additional time that a no-interest card can offer might be all you need to make the medical bill work with your budget. Even if the doctor’s office charges a nominal fee for credit card payments, it might still be worth it for the flexibility. My kids and I are on different health insurance plans; they have incredible coverage, while mine is sub-par (but more expensive!). My son sees specialists every month, and most of the costs are covered; if I need to visit a dermatologist or radiologist for any reason, I can expect a bill that’s hundreds or even thousands of dollars high. One way to cut down on those bills that arrive post-insurance claim, though, is to choose in-network providers for everything. You may have to compromise a bit on location or your choice of doctor, but in-network providers have contracted with your insurance company. This means that they will accept a negotiated (often lower) rate when you visit their office. Not only is the visit itself usually cheaper, but your insurance company will often pay a higher share of the costs. This means that you’ll keep more money in your pocket for the same care. Medical bills are tough, whether you are talking about routine visit co-pays or specialist visits for an injury, illness, or disease. Reducing those bills is a great way to head off the problem from the beginning; however, if the cost-shares and deductibles still prove too much for your monthly budget to bear, there are things you can do to avoid the bill from impacting your credit report. After all, seven years is a long time for an unpaid office visit to drop your credit score.